I absolutely LOVE the magical OUTDOOR FEEL this inspiration board holds. 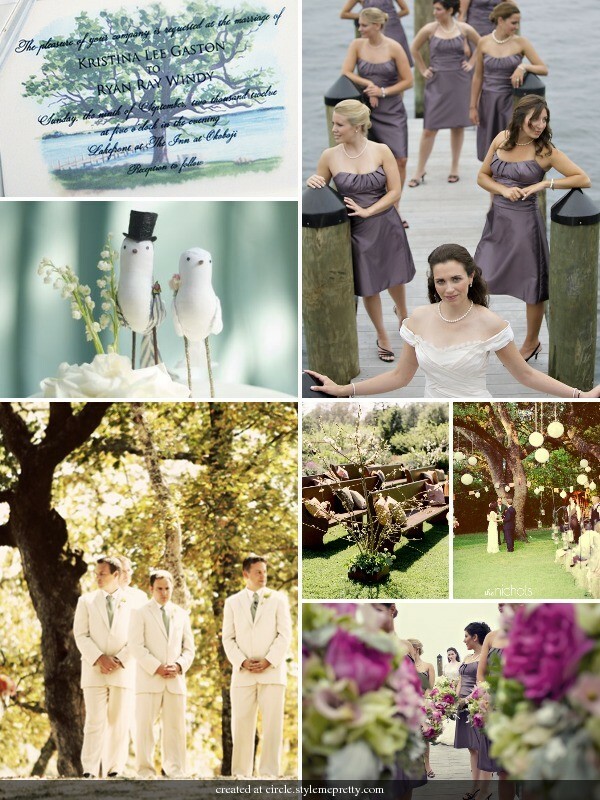 Notice the details of the TREE, LAKE and DOCK in the hand-painted ‘Lakeside Wedding’ invitation! Loving everything about this. So whimsical! !